On select Saturdays, a Resident Wellness Counsellor will be available for free, confidential counselling appointments, which can be done in person at Diamond Health Care Centre or via telephone or Skype. 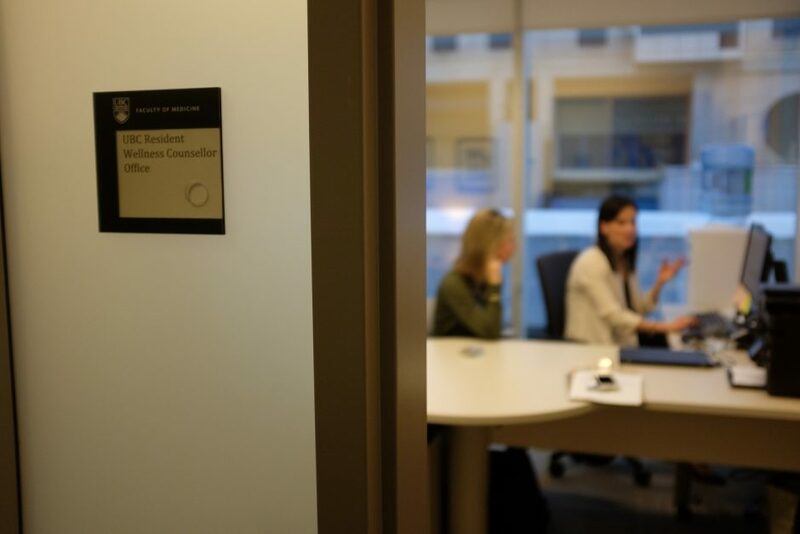 If your program is interested in having a Resident Wellness Counsellor provide one of our available workshops, you can contact us via e-mail at resident.wellness@ubc.ca to submit a request, or click the ‘Book Now’ button below. These workshops are most commonly booked during an academic day, allowing for most residents to attend. The workshops are approximately 1.5-2hrs in length. We ask that you try to provide as much notice as possible to allow us to schedule accordingly. A reminder that for those at distributed sites, the following workshops/groups can be provided during one of the Resident Wellness Counsellor’s site visits. To ensure the quality of the workshop provided, all workshop requests for groups over 25 will require two counsellors to facilitate. This workshop’s focus is on mindfulness and its relevance to the practice of medicine. It reviews what mindfulness is and the seven pillars of mindfulness practice. This involves some experiential exercises and discussion of how mindfulness can be practiced at work and in leisure. This workshop’s focus is on how to increase your resilience as residents by offering an in-depth understanding of the cognitive behavioural framework. This workshop identifies the role our thoughts play in our life and explores the top ten “Thinking Traps”. It then provides a simple framework for how to challenge these common cognitive distortions. The relationship between thoughts, feelings and behaviour are described, and tools and strategies to manage unhelpful ways of thinking are taught and practiced. This workshop includes time for in depth group discussion, case studies and self-reflection. Resident resilience is discussed in the context of adverse events and medical error, with a focus on emotional impact and personal reactions. This workshop reviews some literature on adverse events and the impact it can have on physician’s wellness. The emphasis of the workshop will be on group discussion and story-telling exercises to support sharing, reflection, self-care planning and recovery. Ice Cream Rounds is a confidential, resident-only group that allows medical learners to connect, offer one another support and share in the highs and lows of residency. Residency can be intense and overwhelming and the sharing of experiences in a safe, non evaluative environment helps residents to feel more connected to their work, one another and ultimately themselves.